If you own a home, you already know that the proper insulation will save you money and it will help keep warm or cold air inside your home. However, insulation does much more than this one benefit! 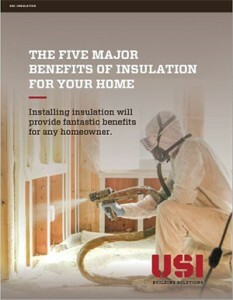 Download this free guide today to learn more about the five major benefits of insulation.